Minimalist LED lamp suitable for any office desk or bedside table designed by Ukraine-based ArtZavod. 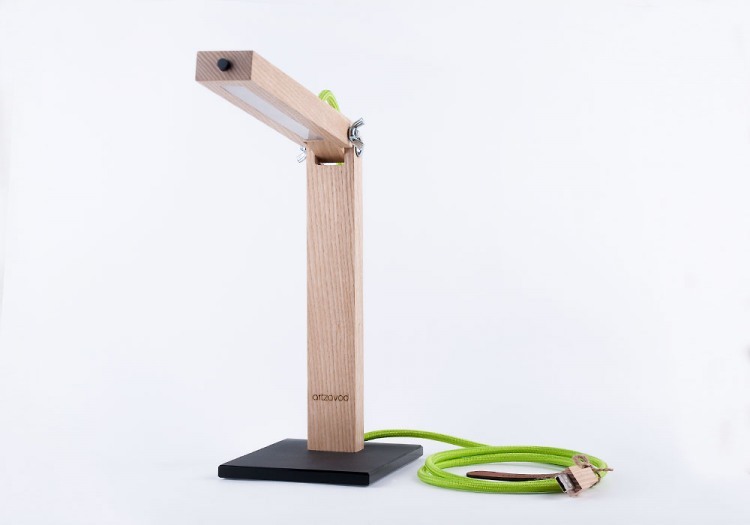 Glu is the brand new lamp designed by Pellegrini+Mengato for Fabbian. The Lumed bobble lamp is an LED based table lamp. The uniqueness is in its playfulness and its functionality. Today I went through a large collection of various designer pendant lights to pick the very best I could find. If you are looking for some contemporary lights … you are at the right place. Some exceptional pieces in this post. Get inspired! Set of coral-like Anemone lightings by Olivia d’Aboville for Philippines lighting manufacturer HIVE. Designed by Philippe Nigro for the lighting specialists Foscarini, the modular Nuage lamp is made of polycarbonate and can be arranged and grouped in multiple combinations or used individually. Tel-Aviv based Aqua Creations lighting & furniture atelier has designed two new amazing lightings – Molecules and Tokonoma. Let’s take a closer look. Bambus is an universal material … that’s known for ages. You can do pretty much anything from it. So why not a lamp? Hangzhou, China based design studio INNOVO has designed an amazing looking lamp called Xuan. It’s made entirely from bambus … if we do not count the light bulb and elecronics .). If you like it, feel free to visit the Innovo website (link at the bottom). You can tell FLO the very essence of light: minimal yet elegant, sober yet forceful, geometric yet harmonious and warm. The most advanced LED technology glamorizes this range of lamps for desk, bedside, clamp and floor made of varnish coated aluminium.